Stretching southeastwards some 700km from the Slovenian border, the Dinaric Alps run the length of Croatia, through Bosnia&Herzegovina and into Albania, from where they continue as the Pindos Mountains into Greece. This mountains are the Dinaric extension of the Swiss Alps and dominate most of Herzegovina’s territory. 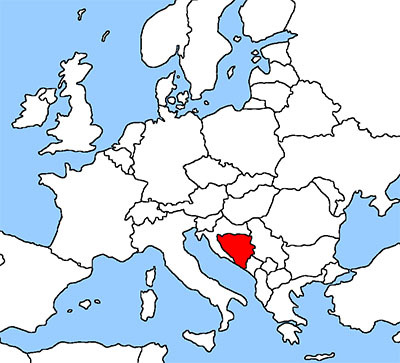 Their steep western slopes present an almost impenetrable barrier towards the Adriatic sea (a factor which has contributed to the relative isolation of inland Bosnia&Herzegovina from the various ‘Mediterranean’ civilizations to have settled along the coast). Perhaps not surprisingly, their inhabitants have always been fiercely independent. Bosnia&Herzegovina with its turquoise rivers cutting through dramatic, rocky mountains, offers endless opportunities for nature lovers and adventure seekers, longing to experience nature and the wild outdoors. The fertile region of Herzegovina is full of picturesque green valleys, clear lakes and high mountains. 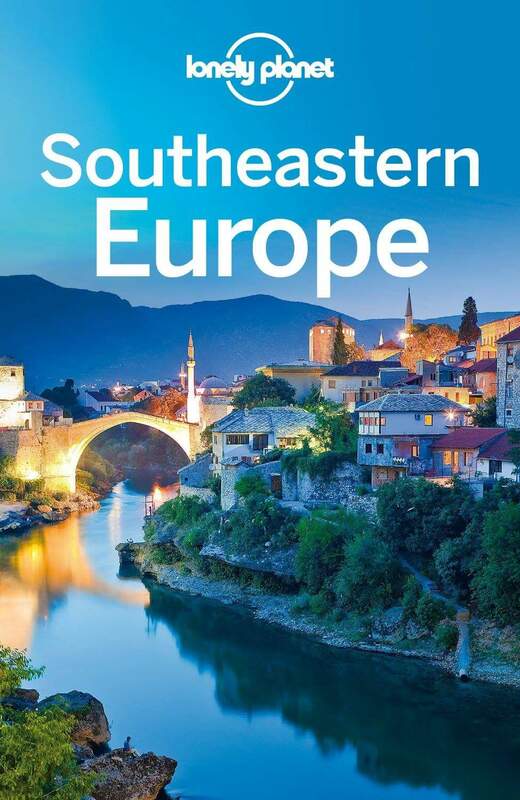 Herzegovina, as well as being a bastion of cultural heritage, preserves one of the most beautiful and unique eco-systems in all of Europe. It is here that the Mediterranean, Continental and Alpine climates clash, creating conditions for dozens of types of endemic flora and fauna. 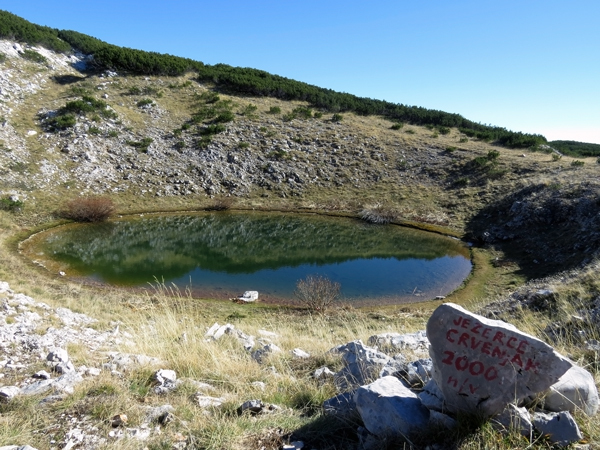 For hiking lovers one of the most interesting mountain to climb is certainly Čvrsnica mountain. Mount Čvrsnica is the ideal spot for all those who desire silence, wilderness and mountain peacefulness, complemented only by the sound of wind in treetops of centuries-old trees and relaxing sounds of forest inhabitants. Nowadays it isn’t easy to find such unspoiled places in Europe. 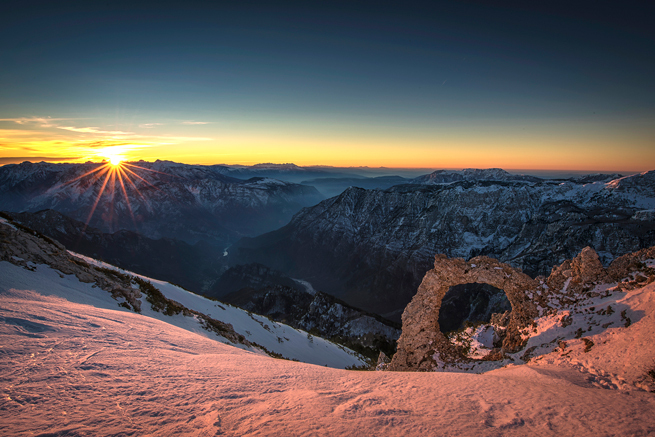 The mountain is situated in the northern Herzegovina with its main part located in Nature park Blidinje. 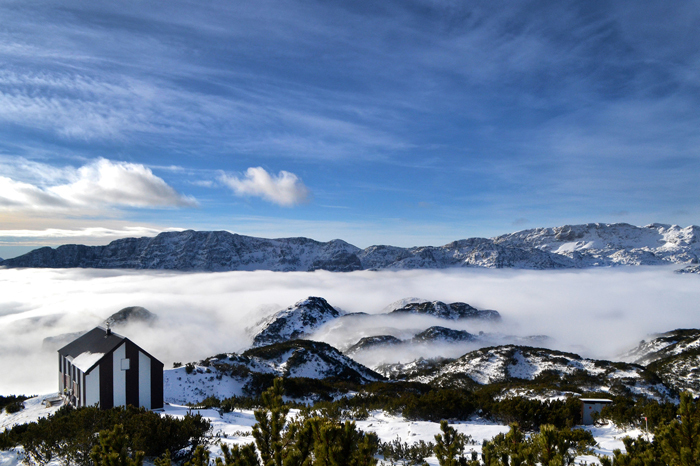 Its highest peak Pločno (2228 masl) is the highest mountain peak in all Herzegovina area and bears the name ”Herzegovina’s roof”. The Čvrsnica mountain area features a fascinating series of plateaus and crests, broken by deep gullies where the many tributaries of the Neretva river flow. Altogether, there are more than 10 peaks higher than 2000 metres, including: Pesti brdo (2039), Veliki Vilinac (2116), Drinjača (2038) and Pločno (2228). The lakes of Blidinje, in Dugo Polje, (at 1183 m), of Crepulja (at 1560 m) and of Crvenjak (at 1900 m), embedded in areas of great beauty, furher add to the natural charm of this land. Čvrsnica is protected under the Nature Park Blidinje and its geomorphological object in the form of an arc Hajdučka vrata is protected as a natural monument since 1985. Hiking in this part of Čvrsnica will be an unforgettable experience and you will enjoy the pristine nature of fairy tale mountain landscapes. This beautiful trail passes near the natural phenomenon Hajdučka Vrata (2000 m), and next to the lake Crvenjak (1957 m) in which endemic Bosnian subspecies triton may be found. A lot of the endemic plants may be found here, edelweiss (Leontopodinum alpinum) being the most attractive among them. Čvrsnica is well known as a home of chamois. This tour is available during the season from May until November! Čvrsnica presents different microclimates, depending on position and altitude: Mediterranean at the feet of the mountain areas, Mitteleuropean in the hills, Alpine on the plateaus and peaks. The most intense snowfalls are in January and February, with wind-made snow dunes which can be as thick as 15 metres. The high areas are covered with snow from November to April, and snow stays on the highest peaks throughout the year. What to Bring: Hiking boots are recommended/ sturdy walking shoes ,layered clothing, basic trekking food, 1 litre of water, sun hat and camera. • Please contact us if you need any additional equipment. The adventure starts from Mostar and goes over the asphalted part of the road till the Blidinje natural park. Then, the journey takes around 30 minutes of drive on the macadam road, passing through dense forest to the Vitlenica (1458 m), which is the starting point for the hike. The hike starts easy through pristine mountain wilderness going up at moderate steep to 2000 metres. The first part of the trail goes through Munika, Bosnian white pine (Pinus heldreichii – endemic species of pine) forest. This area is known as a home of numerous plants, ranging from Mediterranean ones to those that can be found in high mountains, including also a large number of endemic plants and mushrooms.Highland landscapes are dominated by Alpine scrub and carpets of dwarf-pines (pinus mugo). 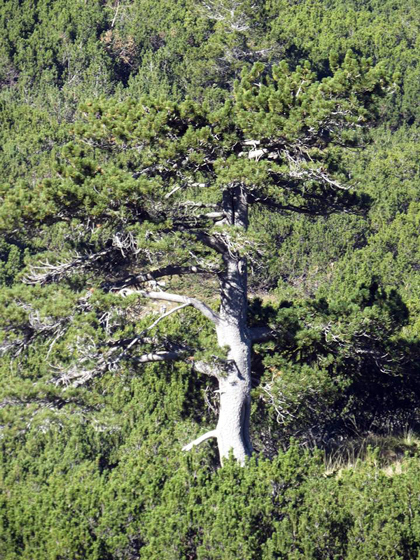 The beauty of the park – the Bosnian pine, has the largest European habitat right here. This mayestic mountain is still a home of the king of the woods – the brown bear, and the jewel of the peaks of Čvrsnica – chamois. We will walk through a large green oasis, adorned by beautiful fir, pine and beech trees that rise high above mountain gorges and meadows. We will cross numerous fields enjoying a fantastic scenery around us. In this part of the trail we will find only one natural source of the water, which could be dry during hot summer months, so it is recommended to bring at least 1 liter of water in the backpack. After few hours of walk, depending of our tempo, we will reach the intersection leading to our goal. At this point we come to a plateau that gives us unforgettable views all around us. We continue towards Crvenjak lake, and finally to Hajdučka vrata, a natural stone door on the edge of a cliff. Hajdučka vrata are located on the east side of the mountain Čvrsnica, at an altitude of 2000 m.a.s.l. This is an extraordinary natural phenomenon of unusual beauty, which causes surprise and admiration. It was created during centuries of natural conditions in this place and they have made a circular hole – a magical ring diameter of about 5 meters. 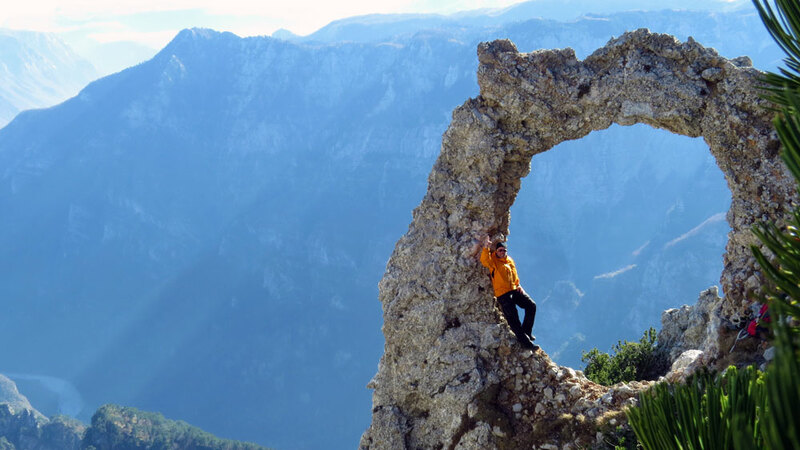 It is a ring of rocks through which the winds blow, and it is situated on the edge of the canyon Diva Grabovica (6,2 km long). This place is ideal for a longer break, to enjoy a mesmerizing scenery and to feel completely renewed. 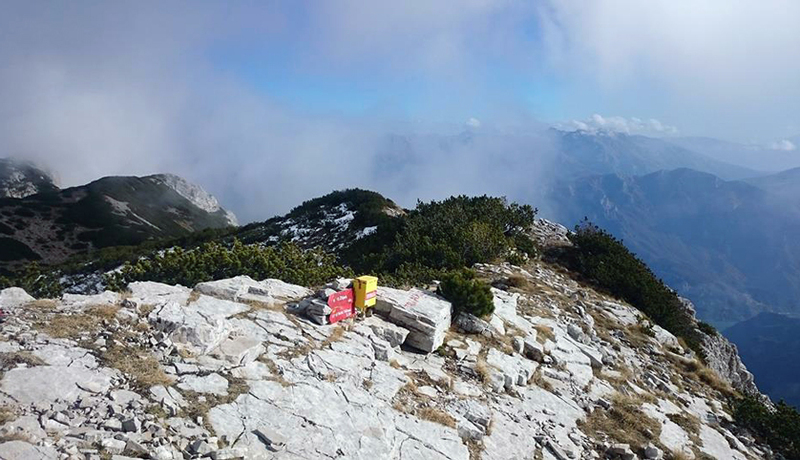 Picnic lunch is possible here or at Vilinac mountain hut, on our way back. The Vilinac mountain lodge is the most elevated mountain lodge in the country, located in the extraordinarily attractive environment in the heart of the mountain, right at the place where the Mediterranean meets the rough alpine climate. For those who want to continue this adventure for more days, here is possible to get food and bed. After this break we will have an easy hike to the Drinjača peak (2038 m.a.s.l.) where spectacular views of Pločno peak, Velež, Bjelašnica, Prenj and Vran mountains are provided. After we enter the visitor’s book we go the same way back. 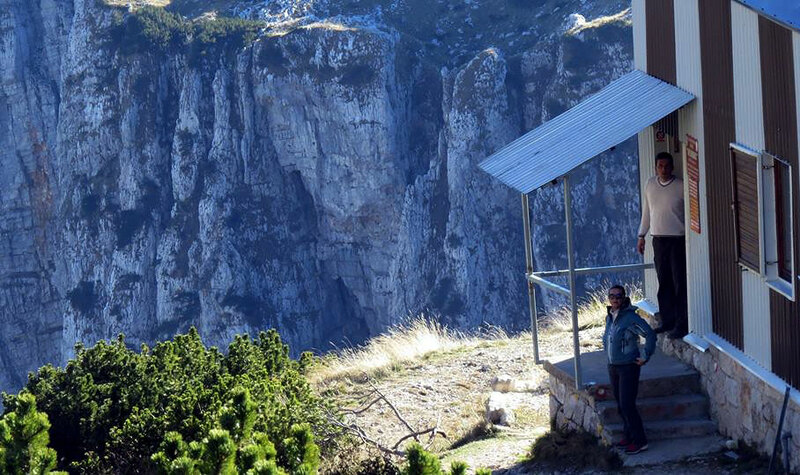 After about an hour of walk, we will come to the Mali Vilinac peak, from where we will descend to the mountain lodge Vilinac located on the edge of a spectacular cliff. Here we will renew our supply of potable water and go the same way back. We will be making our way across rough terrain, loose rocks and gravel, damp vegetation coverage which can be unsteady and slippery. The trail is adjusted to recreational hikers and does not require any professional (alpine) equipment. Hiking boots are mandatory. We will have plenty of short breaks to allow you every opportunity for panoramic photography. 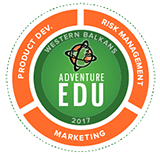 Along the way we will highlight the endemic vegetation of the majestic Čvrsnica Mountain. Depending on the time of year, this hiking tour is known to offer spotting’s of various wildlife. This is an adventure that you will remember for a lifetime. PLEASE NOTE: This is all about 20 kilometer long hike. The trail requires a medium level of fitness. The trek is adjustable to your wishes: duration, distance, terrain difficulty etc. Please inform us carefully so we can ensure you as good conditions as we can. There is no risk of landmines. Tour starts from Mostar but could be arranged from any other location if requested. The guides are also the drivers. They pick you up at your hotel or apartment and bring you back there again at the end of the tour. We use a fleet of recent SUVs, air-conditioned minivans and comfortable cars. 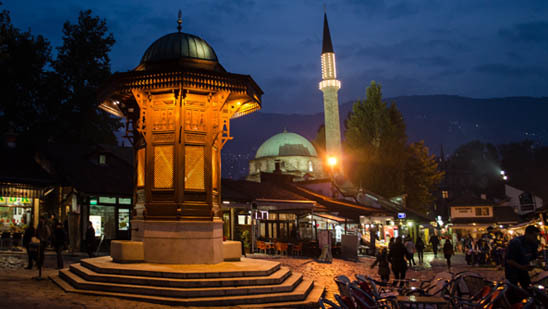 Herzeg Day Tours offers pleasant and effective transfer + tour arrangements from your location elsewhere in the region to Mostar and vice versa, with many opportunities to visit attractive locations and photo stops along the way. All that we are offering with significant discounts, especially if you have already booked a one of our tours. We also offer possibility of booking your transfer in advance to and from all airports, bus and train stations, ferry ports and holiday destinations in Bosnia&Herzegovina or Croatia, with adequate and secure transfer at low and fixed prices. All our tours can be arranged according to your preferences and depending on your needs, so feel free to contact us and we will send you our offer. Food, drinks and all extra costs are on the customers responsibility. 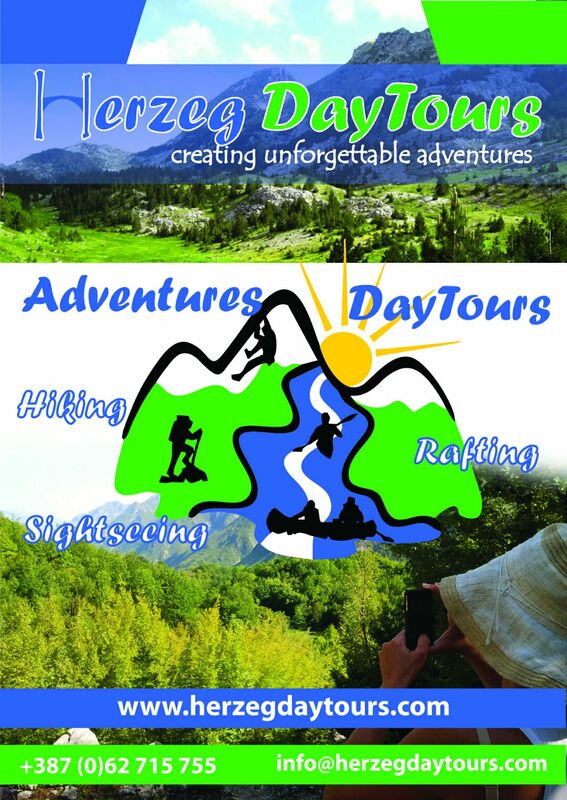 Herzeg Day Tours only covers cost of transport and guide.